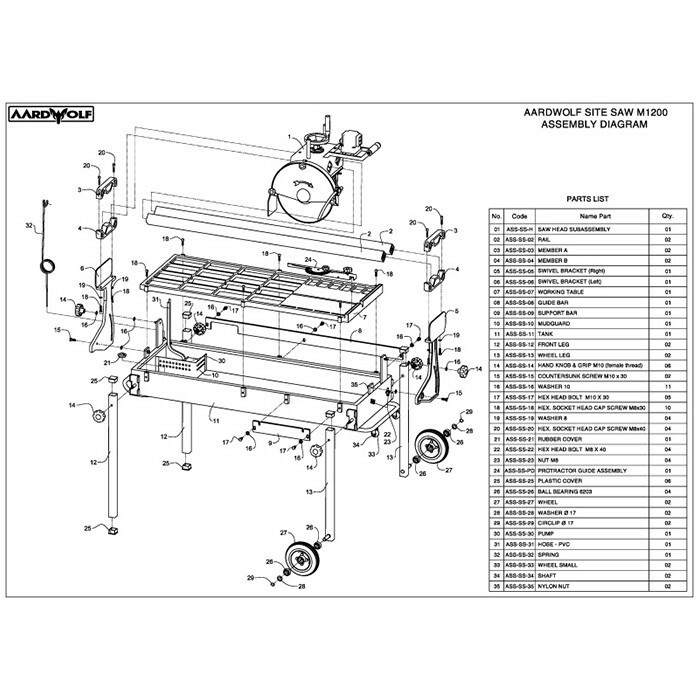 It features a 3Hp Motor guided by twelve bearings rolling on two extruded aluminum bars, which ensure the accurate cutting of all types of natural and artificial stone. 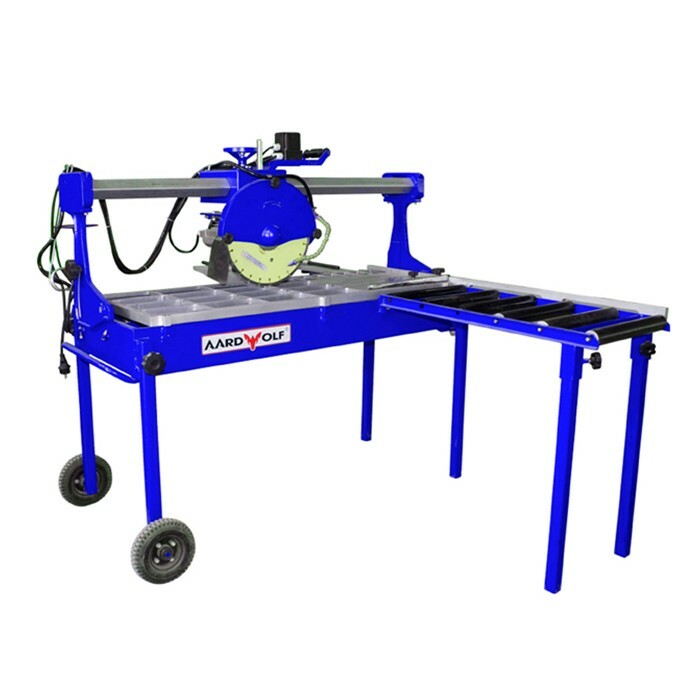 General: It features a 3Hp Motor guided by twelve bearings rolling on two extruded aluminum bars, which ensure the accurate cutting of all types of natural and artificial stone. 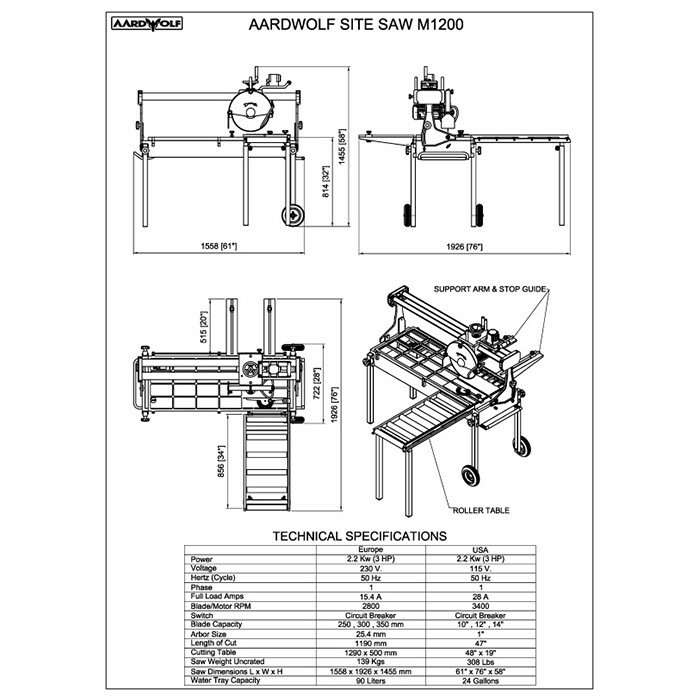 One of the distinguishing features of the Aardwolf Site Saw M 1200 is its cast aluminum machined work table, which is firmly bolted to the water tank. This combination of solid cast table being bolted firmly to the water tank makes the saw very rigid, preventing the frame from twisting when placed on uneven surfaces, ensuring accurate cutting of the work piece. 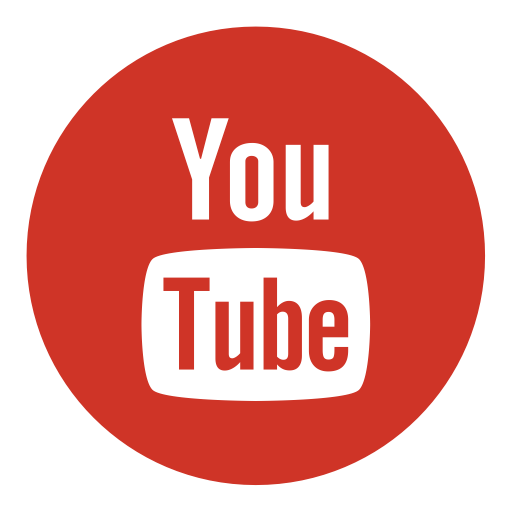 Other advantages not be to ignored: Features: - A roller conveyor, which makes loading easy and support the work piece. 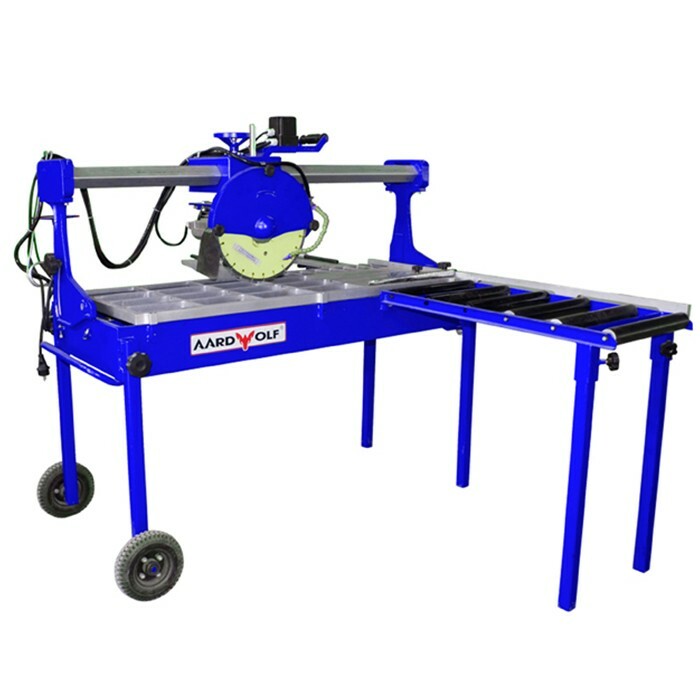 - Two load support brackets containing adjustable stops which allow for quick, accurate repeat cuts. - Incorporated in the M 1200 are wheels and rollers for effortless single-handed loading and transportation of the saw. - Tilting bridge from 90? to 45? to carry out bevel cutting. - Water tank with recycling pump. - Manual depth adjustment of cutting head by hand wheel. - Stainless steel measuring tape fixed to table and conveyor. Total length 1370mm (54\\\") - Power supply: 220 1 Phase 50-60Hz Packaged Volume: 1.1466 M3. Net Weight: 151 Kgs. Gross Weight: 154 Kgs.